Eclipse Perspective: What Would an Astronaut See from the Moon? 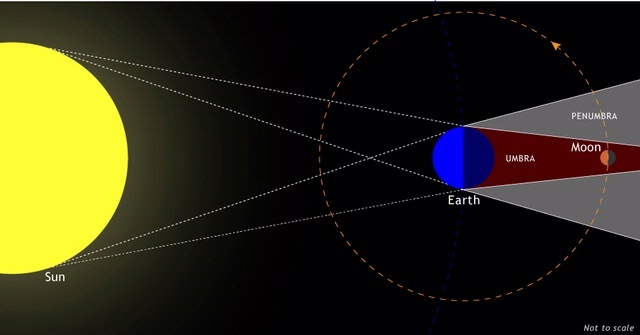 Positions of the Sun, Earth, and Moon during a lunar eclipse. (Not to scale.) Credit: Smithsonian Institution. A total lunar eclipse will occur Monday night and early Tuesday morning depending on you location, but can you imagine how the eclipse would appear to an astronaut on the lunar surface? 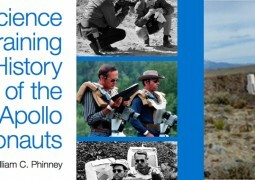 The SSERVI LPI team has written an excellent story on the eclipse from an astronaut’s perspective. When a lunar eclipse occurs, the Moon is moving through the Earth’s shadow. If there are clear skies in your area, you can watch the lunar surface darken, then slowly turn a bright red color over the course of a couple of hours. While watching the eclipse, you might ask yourself what it might look like if you (or your favorite astronaut!) were on the surface of the Moon instead of on Earth. I won’t spoil the answer here, but please read the full story on the LPI News Page. By the way, the news item also allows people to download a high-resolution copy of the spectacular Apollo 17 view of the Earth in the sky above our astronauts and the American flag on the lunar surface– a picture worth framing!